COBURWAS International Youth Organization to Transform Africa (CIYOTA) is a Ugandan-based non-profit started by three refugee youth in secondary school to address the educational problems and other challenges faced by Congolese refugees living in the Kyangwali refugee camp. The nonprofit, launched in 2005, now has over 10,000 members and volunteers from over 40 African countries that subscribe to its goals. Bahati Kanyamanza is one of CIYOTA’s founders and currently its Resource Director. He was forced to flee from the Democratic Republic of the Congo (DRC) into Uganda with other thousands of refugees in 1997. Like many others, he was placed in the Kyangwali refugee camp. The Ugandan government allocated farming land to supplement the refugee food resources received. However, Bahati and the other co-founders of CIYOTA did not want to become farmers, but wanted to address the key challenges facing the refugees living in the camp, especially lack of access to education. They launched CIYOTA in 2005, by building a primary school in the camp. Almost ten years later, CIYOTA is registered as a nonprofit in Uganda, the DRC and the United States (U.S.). It runs multiple activities in Uganda, including livelihood programs, such as a microfinance project, providing women widowed by war small loans to start small businesses, as well as an anti-violence movement program aiming to equip young women, who never got an opportunity to go to school, with life skills, such as tailoring and adult education. One of the nonprofit’s largest initiatives remains the primary school and an early childhood development (ECD) program, which provide quality education to refugee children in the camp, as there were two primary schools in the camp, which lacked appropriate conditions for proper schoolings. The classrooms were congested and the schools had no qualified teachers, which determined many children to drop out. The primary school set up by the nonprofit aimed not only to provide quality education, but act as a model for other refugee settlements. 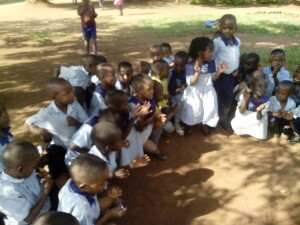 Given that land is owned by the Ugandan government, when setting up the school, CIYOTA worked to receive a piece of land from the Prime Minister office. 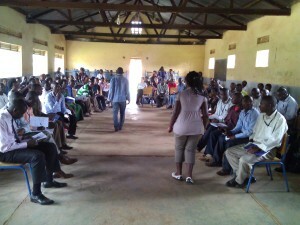 The teachers are Ugandan citizens, who have gone through a training to teach at the primary level. The teaching positions are advertised on radio stations and interested candidates can apply and be interviewed at the school. Whoever qualifies joins the school on a contractual basis. Currently, over 350 students are educated in the primary school. Now CIYOTA’s primary school is recognized by UNHCR as one of the best refugee initiatives in the world and was visited by UNHCR Deputy High Commissioner Alexander Aleinikoff in October 2014. Apart from the primary school, CIYOTA is also providing housing for refugee secondary school students to be able to study in Hoima town, approximately 80 km from the refugee camp. There was only one secondary school in the Kyangwali refugee settlement, with only four classrooms and poor services, many students were dropping out or playing truant frequently. The dorms, which Bahati refers to as hostels, provide a home environment, where these students are groomed into future leaders of their communities. 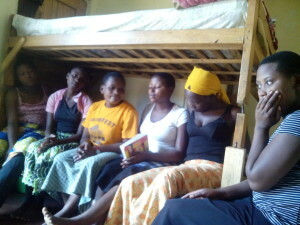 CIYOTA seeks funding to rent the dorms, paying the utility bills, mentors and other necessary staff, like the cooks. The students’ parents contribute some of the needed food. 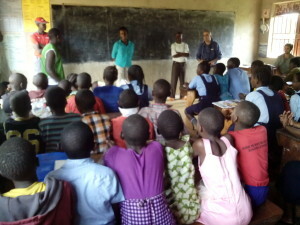 In the hostels, the nonprofit also runs a ‘university program,’ which does not ensure access to higher education, but provides students principles of responsible leadership, entrepreneurship and nonviolence, in order to work in the interest of the whole community with eyes open to identifying problems and coming up with solutions to solve them. Bahati stresses that nonviolence education is important, because the hostels house students from the DRC, Sudan, Rwanda, and Uganda, most of whom found themselves refugees in Uganda, due to wars, tribalism and nepotism. This unifying element helps them to cohabit, and share the opportunities and scarce resources. Often, at the end of their education, CIYOTA is able to connect the students with organizations, such as MasterCard, which can provide scholarships for their university education. In the DRC, the nonprofit runs a program called Pamoja kwa maendeleo (Together for Development), which brings youth from different tribes together to teach them how to solve conflict using nonviolent means. This is because it is the youth, who are often used in conflict. The DRC has suffered multiple decades of conflict. 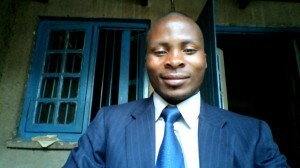 It is time that the Congolese accept each other and work together despite tribal differences. In the U.S., CIYOTA does not run any programs, but has obtained 501(c)3 status for tax exemption purposes. CIYOTA currently employs 40 people. From a budget below $200 annually in 2005 obtained from small scale farming, today CIYOTA has a yearly annual income of over $300,000. The nonprofit mostly obtains its funding from the refugee community and individual donors, while also benefitting from some small grants from the Global Fund for Children, Wellsprings Advisors, Theater versus Oppression and Echoing Green. For instance, in 2013, out of 3,000 applicants, Benson Wereje,the executive director and one of the co-founders, was selected as an Echoing Green fellow, with CIYOTA receiving $80,000 seed capital. At the same time, Bahati recalls that, when they first launched their nonprofit, they were criticized, opposed and even threatened, because they were young, uneducated refugees. Despite the criticisms, they knew that no one was there to solve their problems, so they would have to create the solutions themselves. Bahati is proud of the fact that, from scratch, his team mates and himself were able to create opportunities for thousands of children and other community members, whom CIYOTA has given hope to. He is especially proud of what individuals that have been involved with the organization have been able to achieve. For instance, one of the nonprofit’s key leadership members, Joseph Munyambanza,the Education Director, was one in five young people around the world to be selected to speak at the World Economic Forum. He is also a member of the British Council Global Changemaker Network, a fellow at the African Leadership Network, and one of 15 young people to serve as advisors on international education to the UN Secretary General and Gordon Brown, the UN Special Envoy on Global Education. Similarly, another CIYOTA co-founder, Benson Wereje, mentioned above, was selected as a 2013 Archbishop Desmond Tutu Leadership Fellow, which recognizes him as one of the 24 most promising rising leaders in Africa under the age of 40. Moreover, Furaha Antoinette, a CIYOTA secondary school beneficiary, was selected at the age of 17 as the first young girl to win the Anzisha Prize, sponsored by the African Leadership Academy and the MasterCard Foundation, for her work with over 5,000 widows in the camp. At the same time, CIYOTA members are among the top students in top universities in the U.S., South Africa, and Uganda, winning multiple scholarships from the MasterCard Foundation. CIYOTA is bound to continue making a positive impact on the lives of refugees living Uganda an even Africa, as Bahati and his team mates have set high short-term and long-term goals for their nonprofit. On the short run, they want to have 50 students at higher institutions by 2016, attract funding to help CIYOTA strengthen its programs and build youth centers across eastern DRC. On the longer run, they hope to train one million youth in active nonviolence practices, to become a model that can be duplicated in any African camp, similar to Kyangwali, construct COBURWAS Leadership Academy (CILA), aiming to bring secondary school students together to complete the leadership training, as well as develop a curriculum to be taught to various CIYOTA students and community members. Interview done by Raluca Besliu in December 2014.